Apples' iPad Pro featuring the latest iOS finally available on Nov 11, 2015, making it the most awesome tablet right now. However, here we are not talking about the new tablet. Instead, we are discussing the next-generation operating system that leads to the teething problem, which some users are wavering in whether or not to take the plunge to upgrade iOS 8 to iOS 9. Update: Currently, Apple users are hovering to upgrade to iOS 12 or stay on iOS 11.4 since iOS 12 is available on Sept 17, 2018. Of course, your iDevices will be more effective and faster after upgrading to iOS 12, while there may be some iOS 12 problems as well. Thus, before you finally make a decision, you're suggested to read the iOS 12 vs iOS 11 comparison. 1). Check if your iOS iPhone iPad have enough space available for iOS 9 upgrade as the process needs at least 1.5GB memory space. 2). Make a backup of your iOS iPhone iPad files lest the files data get lost during the upgrading procedure. To make room for your iPhone iPad iOS upgrade and backup device files, you're required to resort to an iPhone manager like MacX MediaTrans, which is aimed to help you transfer and backup photos, music, videos and more from iPhone 6/6 Plus/5s/c (iPhone SE/6s included) to computer Mac/Windows so that you can delete the overlapping, large-sized or currently unneeded files like 4K videos, HD photos and high quality music, etc. to free up your device space for your iOS update. Just a click away, no iTunes, no iCloud needed! Compared with iOS 8.3, the latest iOS 9.3 brings a new feature to its users-Night Shift. What is the function of Night Shift? Simply say, it's designed to help you have a better sleep. It's reported that exposure to bright blue light in the evening can affect your circadian rhythms and make it harder to fall asleep. Night Shift in hte new operating system can automatically adjust the blue light on your iPhone iPad display. It will be brighter in daytime and warmer at night. Another strength that iOS 9.3 has over iOS 8 is that it lets users enjoy more improvements to Apple News, Notes, CarPlay and Health. To be specific, iOS 9.3 makes your note more private and secure; The news will be tailored to your particular interests; it enables you to discover more new health apps, etc. 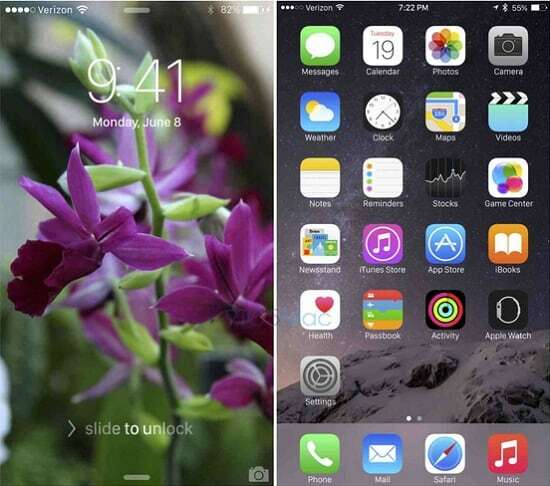 The distinct differences between iOS 9 and iOS 8 you will notice first is the new look of the new system. The new font San Francisco is used in iPhone, iPads and Macs running OX 10.11 and iOS 9.3 than the currently-used Helvetica Neue, the same font system used on Apple Watch. Also the keyboard design is slightly tweaked: new keyboard switches between upper and lowercase keycaps. The easier-to-read font in iOS 9.3 than that in iOS 8 make this a welcome change. Among the stunning apps to boost iOS performance, there is an interesting app for lifestyle management called "Proactive" in iOS 9.3.5. This new feature replaces the existing Spotlight Search in iOS 8 with better service. Proactive will check data from a range of other apps to provide the right information at the right time, making iOS 9.3.5 more personalized. It is no doubt among the advantages of iOS 9.3.5 over iOS 8, as it helps iDevice users to keep the busy life under control. Speaking of music streaming service, Apple announces its new music service Apple Music together with a live radio station named Beats 1. According to Apple, "On Apple Music, all the ways you love music can live together", which means that the new operating system will be more music-related in the iOS 9 and iOS 8 comparison, giving Apple's competitive advantages of iOS 9.3 over iOS 8.3 currently-used service like Spotify. For music lovers, the music emphasis will be a good reason to go iOS 8 upgrade to iOS 9. The HomeKit also gets upgraded to work remotely — no Apple TV needed, thanks to iCloud to let users to wirelessly discover, securely manage and control HomeKit-compatible accessories using an iOS device. This app was announced at WWDC 2014 but not really integrated with iOS 8. 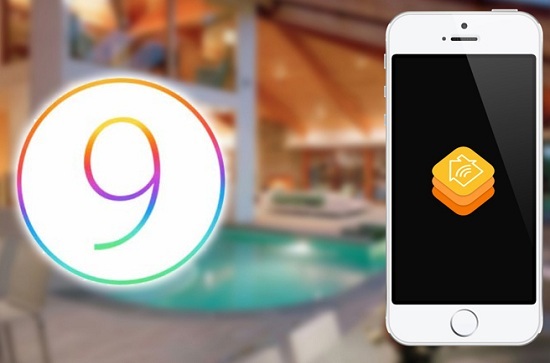 But now, users are enabled to remotely control parts of their homes from their iOS 9 devices. If you get iOS 8 upgrade to iOS 9, you will experience another advantage of Siri in the new iOS. This voice-controlled personal assistant is open up to third-party apps and supports more natural language commands. Accordign to Apple, Siri powers a more intelligent search in iOS 9, which is 40 percent faster over that in iOS 8 and handles over a billion requests per week. Improvements are also added to Maps in iOS 9.3 (even better in iOS 10 update), including the addition of transit direction, bus, train and other public transportation data, highlight points of interest, turn-by-turn spoken directions as well as 3D mapping. Now users can get to their destination faster with iOS 9.3 compared with iOS 8 as you can visually see the street and stores clearly. Improved Battery Life and Low Power Mode: Fast battery consumption continues to be an annoyances for iOS 8 and earlier versions, and iOS 9 is designed to improve the situation, which will add up one additional hour of usage from an iPhone 6 and up to 3 additional hours when in the new Low Power Mode. However, this is still not enough for only 1810 or 1960 mAh battery. The practical solution to improve iPhone battery life might be updating to iOS 11, since this one is said to have the biggest breakthrough in battery management. At least, every iPhone fan is much expecting its arrival! Smaller size: compare iOS 9 and iOS 8, the former is 3.5x smaller than previous iOS at just 1.4GB. For iPhone 6S/6S Plus users with smaller storage, this will be a nice bonus to update to iOS 9.3.5. Split-screen Multitasking mode for the iPad: your productivity is to be doubled up in iOS 9.3 than iOS 8.3 with the Slide Over, Split View, and Picture in Picture features. Multitasking is getting easier on iOS 9-based iPad. 1. Expect new iPhone 7 wallpapers and themes. 2. Be able to see and read receipts in iMessage. 3. iCloud Drive to sync files across Mac and iOS. 4. Trusted Wi-Fi in iOS 9 to intelligently distinguish between safe and unsafe Wi-Fi connections. 5. New apps like Wallet app and news app. There are many users who have upgraded iOS 8 trying to downgrade iOS 8 for a number of iOS 8 upgrade problems come along with the upgrade. 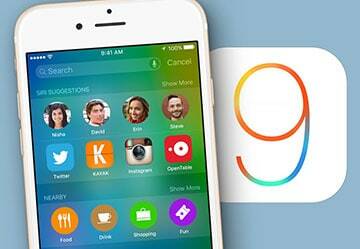 Is it possible to downgrade iOS 9 to iOS 8? I bet you won't. Why? 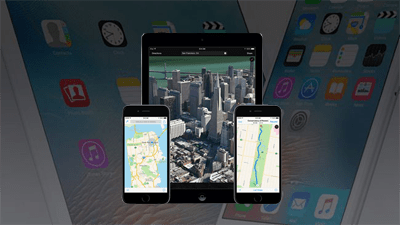 Look at the advantages of iOS 9.3 over iOS 8.3 as well as its disadvantages. When users get an iOS 8 upgrade from iOS 7, they will need 4.6GB free internal storage. Many users, especially those will only 8GB and 16GB devices, are really slow to go iOS upgrade simply because they have to delete a lot of apps/photos/videos/music or transfer video from iPhone to Mac for freeing up space. iOS 9 is going to change, with a smaller download size than its predecessor. In iOS 8, users are suffering from some annoying bugs which may drive users to downgrade iOS 8 to iOS 7 like Wi-Fi and battery drain bugs, or app crashes sometimes or iPhone reboots. Rumors said that huge efforts have been focused on the bug fixing and stability improvement to promise a better experience. Another excellent iOS 9 advantage! It is easy to jailbreak iOS 8, but with iOS 9, things get more difficult. Recent reports claim that a "Rootless" security system is going to pair with iOS 9 which makes it harder to jailbreak iPhones and iPads. Your iOS 9-based devices will be much safer. 1. Recently, people are sending a text to other iPhone users to bother others. Why this happens? A new bug in Apple's iOS system have been found to be able to crash another user's iPhone with a sting of strange characters. In our iOS comparison, it remains a problem to be solved. * iPhone is getting extremely hot in a shot time. * The iPhone battery drains so fast after installing iOS 9. * iPhone gets slower after the iOS 9 upgrade. It takes time for iPhone to respond. 3. Some users are complaining that automatic Sunrise/Sunset option is missing from iOS 9.3 in iphone 5s/se/6s etc. 4. Another drawback of iOS 9.3 is it crashes or app hangs when tapping links. Easy to use, versatility and super fast speed, all these make MacX MediaTrans one in a million in iOS files transfer field. It empowers you to free up iPhone iPad space and backup iOS 10/9/8 files from iDevice to computer with seconds only.